Ever talk to an IDNR employee and feel like they could care less. Maybe that's just people in general today. Maybe, it has to do with the lack of money the agency has and they know the ideas won't go anywhere. For awhile now the IDNR has been in the works of bringing back Outdoor Illinois. They finally made their release announcing the comeback of this new online journal. This is great news in the hunting, fishing and conservation world. As outdoor enthusiasts this is a way for the IDNR to finally be able to release information on research studies, land and wildlife management and other updates. 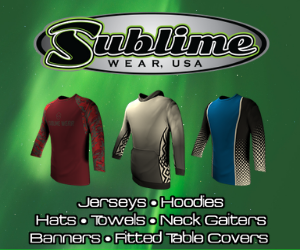 We look forward to seeing what information gets published and how this resource will improve the outdoors. During our reporting and meeting people throughout the state over the years, we've heard people complain about how it's hard to find information and how there is a lack of a user friendly interface for the DNR website. Illinois' has been lacking in transparency and upgrades. However, this is a great step to making the IDNR more user friendly and transparent. It is my pleasure to announce that the Illinois Department of Natural Resources has partnered with the U.S. Fish and Wildlife Service: Wildlife and Sport Fish Restoration Program and the National Great Rivers Research and Education Center (NGGREC) to bring back Outdoor Illinois! This time it is a wildlife-specific online journal that contains articles on Wildlife, People, Land, Research, and Recreation. 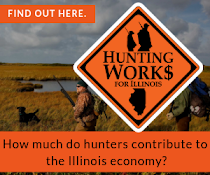 Please take a few moments to look through the site, and to visit our annual hunting forecasts (https://outdoor.wildlifeillinois.org/). Right now, we have posted deer/turkey/squirrel and furbearer forecasts. Upland game and waterfowl forecasts will be coming soon! There are plenty of other short articles to look at as well while you're there. 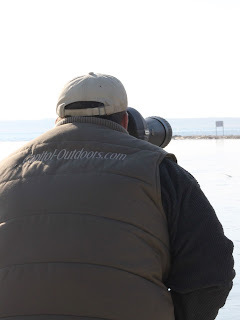 If you have ideas for Outdoor Illinois: Wildlife Journal, or areas that you think we need to provide more information on, please e-mail me at mark.alessi@illinois.gov and let me know. To visit other websites regarding wildlife in Illinois, please visit our Living with Wildlife in Illinois (http://web.extension.illinois.edu/wildlife/) and our White-tailed Deer: Illinois websites (https://deer.wildlifeillinois.org/). The fear that asian carp have passed the electric barrier and are just miles away from Lake Michigan was made real last week as the IDNR announced that a Silver Carp passed the electric barrier. This finding made the Asian Carp Regional Coordinating Committee’s implement their Contingency Response Plan. U.S. Fish and Wildlife Service, U.S. Army Corps of Engineers, and the Illinois Department of Natural Resources have contracted commercial fishers who are monitoring the waterways. The U.S. Fish and Wildlife Service's Magna Carpa deployed to Calumet Harbor on June 27, 2017. Photo courtesy of IL DNR. 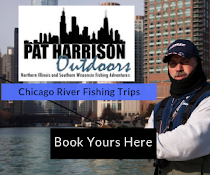 CHICAGO, IL – No silver or bighead Asian carp have been seen or caught since the capture of an adult male silver carp 9 miles from Lake Michigan on June 22 by contracted commercial fisher below the T.J. O’Brien Lock and Dam. The silver carp capture triggered the Asian Carp Regional Coordinating Committee’s Contingency Response Plan (PDF). An intensive monitoring operation in the Chicago Area Waterway System is currently underway this week. As part of the coordinated contingency response, crews from the U.S. Fish and Wildlife Service, U.S. Army Corps of Engineers, Illinois Department of Natural Resources, and contracted commercial fishers are conducting a monitoring operation that is expected to last two weeks. The U.S. Coast Guard has provided notice to mariners of increased activity in the areas above and below the T.J. O’Brien Lock and Dam. Four electrofishing crews, three contracted commercial fishers, and a specially outfitted netting boat have been deployed daily below the T.J. O’Brien Lock and Dam, in Lake Calumet, and in an area from the T.J. O’Brien Lock and Dam to Calumet Harbor. The operation, which covers a 13-mile section of the waterway with intensive monitoring, is scheduled to continue through July 7. Work continues weekdays, including the Fourth of July. Mariners should watch for the presence of nets that are marked with floats. For more information on the coordinated contingency response, please refer to the Incident Action Plan: Operation Silver Bullet (PDF). The silver carp captured June 22 has been sent to Southern Illinois University for analysis to determine the fish’s age and origin. More information will be shared as it becomes available. The fear that anglers, conservationist and outdoor enthusiast in general have been talking about is looking more like a reality each passing year. On June 23, 2017 the IDNR and the Asian Carp Regional Coordinating Committee announced the finding of a silver carp passed the electric barriers and 9 miles from Lake Michigan. For those of us who are in the outdoor world we know this isn't good. Back in January the IDNR released it's 2017 Action Plan to Manage Asian Carp. If you're concerned about the spread of Asian Carp in Illinois then this is a must read. Below, you'll see the press release from the Illinois Department of Natural Resources with the details regarding the finding the silver carp. CHICAGO, IL – The Illinois Department of Natural Resources and the Asian Carp Regional Coordinating Committee (ACRCC) today announced the preliminary finding of one silver carp in the Illinois Waterway below T.J. O’Brien Lock and Dam, approximately nine miles away from Lake Michigan. The fish was captured with a gill net by a contracted commercial fisher the morning of June 22 as part of the ACRCC Monitoring Response Work Group’s seasonal intensive monitoring event. The silver carp was 28 inches in length and weighed approximately 8 pounds. The fish has been sent to Southern Illinois University for additional analysis. Below you'll find a press release from the Illinois Department of Natural Resources announcing the hiring of Eric Schenck as Executive Director of the Illinois Conservation Foundation (ICF). The ICF mission is to "inspire today's youth and tomorrow's leaders by providing quality outdoor education and programs that install interest in conservation, ecology and sustainability". Eric will make a great fit to the ICF and we look forward to reporting on all the progress the ICF makes. SPRINGFIELD, IL – The Board of Directors of the Illinois Conservation Foundation (ICF) today announced the selection of Eric Schenck as the Foundation’s new executive director. On February 18 Ron and Ted Gilles of Princeville, IL received the Pheasants Forever No Child Left Indoor Volunteer of Year award at Pheasant Fest in Minneapolis, MN. For over 28 years, the Gilles Brothers have helped to deliver the organization’s mission: creating and improving habitat at a local level along with creating future conservationists through outreach programs. In 2016 alone, the Gilles brothers hosted over 500 local school children to their farm to learn about conservation. The brothers also hosted over 150 kids at youth hunts on their farm. The Ron and Ted Gilles are also active in helping to organize local hunter safety classes, youth dog training seminars and habitat farm tours. Well done gentlemen! Thank you for your work for Illinois and conservation efforts. Authorizes the Department of Natural Resources to convey, in exchange for $1, certain real estate in McHenry County to the Fox Waterway Agency. Provides that the conveyance is subject to: (1) existing public utilities, existing public roads, and any and all reservations, easements, encumbrances, covenants, and restrictions of record; and (2) the express condition that any proceeds from the sale of the real property shall be utilized for the purchase and development of an alternate dredge material disposal site or sites. Authorizes the Director of Natural Resources to exchange described parcels of real estate in Lake County for another parcel of described real estate in Lake County. Effective immediately. Deletes language providing that the conveyance is subject to the express condition that any proceeds from the sale of the real property shall be utilized for the purchase and development of an alternate dredge material disposal site or sites. Provides instead that the property is subject to the express condition that within one year after conveyance, the Fox Waterway Agency shall: sell the real property for no less than fair market value; use any proceeds from the sale to purchase of an alternate dredge material disposal site or sites for no more than fair market value; and transfer any proceeds remaining after the purchase of an alternate dredge material disposal site or sites to the Department of Natural Resources for deposit into the General Revenue Fund. Provides that if, after one year following the conveyances of the real property, the Fox Waterway Agency has failed to comply with the express condition, the real property shall revert to the State of Illinois, Department of Natural Resources, or, if applicable, the proceeds from the sale of the conveyed property shall be immediately transferred to the Department of Natural Resources for deposit into the General Revenue Fund. Provides that if any property purchased with proceeds from the sale of the conveyed property is not used as a dredged material disposal site within 2 years following the conveyances or if at any time the property ceases to be used for public purposes, the Fox Waterway Agency shall convey by quitclaim deed the property to the Department of Natural Resources for $1. Provides that "fair market value" means the average of 3 appraisals plus the costs of obtaining the appraisals. Deletes language authorizing the Director of Natural Resources to exchange described parcels of real estate in Lake County for another parcel of described real estate in Lake County. It's that time of year again and we're not talking about expo season. It's banquet season, conservationists, hunters, anglers and those that enjoy the outdoors attend banquets to help support organizations across the state. Organizations like Pheasants Forever & Quail Forever host a dinner and auction to raise money for conservation projects and so much more. Below you'll see a list of events being hosted by Pheasants Forever. You all know we love to hunt and fish here at Capitol Outdoors. However there is more to it then that. There's conservation and education. That's why we are excited about eagle days this year. Not only because last year we had a great time and learned a bunch of things about birds of prey, but because this year we get to with Autumn and have even more fun. Read about our Eagle Day Adventure from last year. Below find the press release from our friends at the Nature conservancy. There's something else that you'll only find here! This year there's a Scavenger Hunt. Participants may pick up an Eagle Days Hunt booklet at any of the participating locations. Each location contains the answer to a question in the booklet. Those who turn in completed sheets will receive a prize while supplies last. Conservation comes in all forms, from hunting and harvesting of deer to reducing over-population, to land acquisition and so much more. On January 12, 2017 the Illinois Department of Natural Resources released news that $3.6 million in federal grants from the National Park Service's Land & Water Conservation Fund was distributed to six different projects. 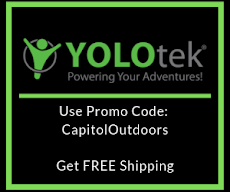 Capitol Outdoors agrees with Director Rosenthal when he said this a "win-win for our local governments and the people living in those communities". While these projects may seem small these are all steps in the right direction. Below you will see the press release from the IDNR with the information of which communities and projects the monies are being awarded too. 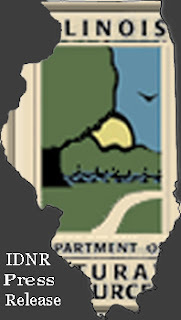 SPRINGFIELD, IL – The Illinois Department of Natural Resources (IDNR) announced today that more than $3.6 million in federal grant funding has been approved for local governments to purchase land to be used for public access and recreation. Funding for the program is made available through the National Park Service’s Land and Water Conservation Fund (LWCF). “Providing federal grants for local governments to purchase land for more public access for enjoyment and exposure to the Illinois outdoors is a win-win for our local governments, and the people living in those communities,” said IDNR director Wayne Rosenthal. The LWCF grant program, which is administered in Illinois by the IDNR, provides up to 50 percent of the cost of projects to help purchase land to be used for public access, with the local governments matching the value of the grants awarded. The LWCF grant program has been in existence since 1965. Prior to this year, more than $123 million has been awarded for 727 park projects in Illinois. If there is ever a reason for more Illinois Conservation Police Officers within the Illinois Department of Natural Resources "Operation Double Dip" is a perfect example of why. Sometimes as an outdoor enthusiast you may forget that their job goes farther then just driving around in a truck, checking hunting or fishing licenses. In fact they do some creditable work and investigating to keep our natural resources safe. Congratulations to all those Illinois CPO who help work and prevent more injustices against our natural resources. SPRINGFIELD, IL — Illinois Conservation Police and Indiana Conservation Officers investigated cases of hunting license/permit fraud beginning in early 2015 extending through 2016 that have resulted in over $85,000 in fines and restitution. The Rauner Administration has reached an agreement with the Illinois Faternal Order of Police to forego layoffs, negotiations included a four year wage freeze. As you know CPOs are vital to the state's natural resources and parks and they provide enforcement to protect wildlife. We applaud the Rauner Administration and the Illinois Fraternal Order of Police for coming to an agreement so that our state's natural resources can be protected. This agreement also stated that work will be done to expand staffing levels. Currently, there are not enough conservation officers throughout the state and unfortunately this lack of officers affects our state parks, wildlife and the habitat that they live in. With crumbling state parks and the DNR budget continuing to decrease this is a small victory for outdoors men and women throughout Illinois. SPRINGFIELD - Governor Bruce Rauner announced today the Administration has reached a collective bargaining agreement with the Illinois Fraternal Order of Police Labor Council representing Illinois Conservation Police Officers. "Through fair and good faith negotiations, we were able to reach a compromise that continues to protect our state parks and other natural resources," Rauner General Counsel Dennis Murashko said. "This new contract is fair to both state employees and taxpayers, and we look forward to continuing our partnership while working together to serve the citizens of Illinois." The agreement includes a four-year wage freeze and ensures no conservation police officers will be laid off, while we work to expand staffing levels. 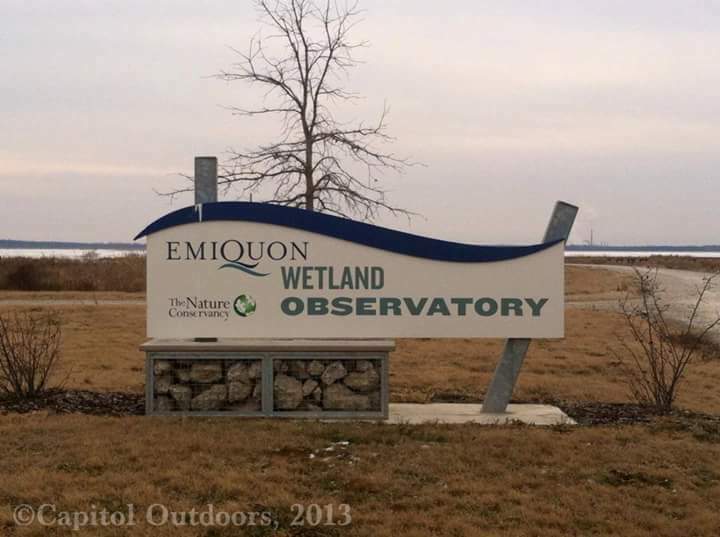 It's no secret that we love to fish, hunt, and observe the wetlands, waterfowl and other creatures of the Nature Conservancy's Emiquon. 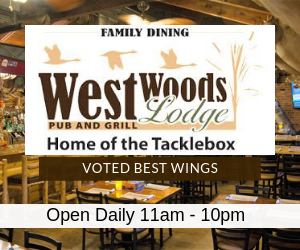 Today Capitol Outdoors received news coming from this prestige Illinois wetland and conservation area. About two years ago we were made aware of a project to reconnect this 6,700 acre wetland back to the Illinois River. Well they've finished and on July 7, 2016 water began flowing back into the Illinois River. Read the following from the Nature Conservancy and their biologist. 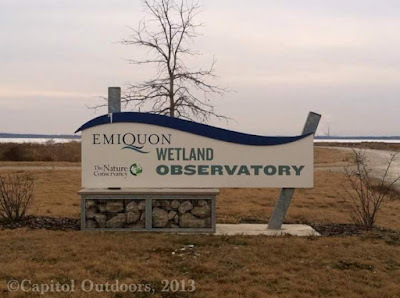 You can learn more about Emiquon and the Nature Conservancy by clicking HERE for their website.